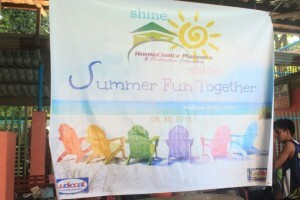 Summer outing is definitely not too late for HomeChoice Planners and Construction Corporation as the company has conducted its “Summer Fun Together” last May 30 at Spring View Resort, Jasaan, Misamis Oriental. It was HPCC’s huling hirit sa tag-init! We know that being a construction worker is not an easy job; they are exposed to strenuous works and spend most of their time working under the scorching heat of the sun. And what better gift could we offer to them? Off course it would be some time off from work. Thus, HPCC gives them their summer getaway. The summer outing was HPCC’s offer of summer escapade to the workers and staff. The activity was not only a summer fun time together with the team but also a fun time together with the Lord. 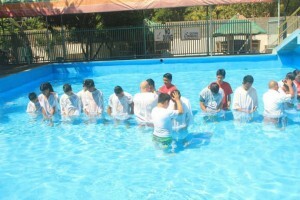 In line with this, Water Baptism was conducted. 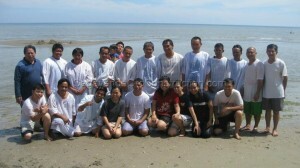 The said water baptism was ministered by the pastors and staff of First Assembly of God church. There were 17 people who submitted their selves and received Jesus Christ in their life; four of which are HPCC’s workers; others were children of HPCC’s staff and youth members of FAOG church. Congratulations to the 17 people who finally decided to be followers of Jesus Christ. Lunch fellowship was then followed after the water baptism. The staff, workers and guests had a very satiating lunch; roasted pigs, chicken barbecue, pansit, mango tapioca and a lot more food varieties were prepared. Happy tummy for everybody! It was a happy swimming also for everyone as they spent the rest of the day in the pool. Quality time spent well with their colleagues. It was an event worthy to be included in the throwback Thursday and flashback Friday posts. This activity is definitely worth reminiscing. Looking forward for more events like this. Cheers to the organizers of the event. Kudos to the successful outcome of the Summer Fun Together! Until the next event! 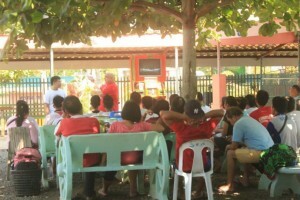 Spreading the good news is what has always been the mission of HomeChoice Planners and Construction Corporation since it has started its bible study service five years ago. The company’s head, Mr. Robinson P. Masangcay in collaboration with CDO First Assembly of God church has used their beautiful feet in sharing the good news to the workers. And thru their beautiful feet, many have heard of the word and have received Jesus Christ in their life. 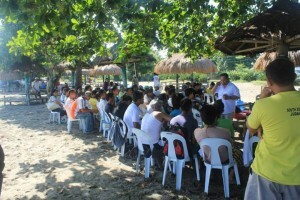 Last September 7, the company sponsored a water baptism service that was held at Marvilla Beach Resort. HPCC was overwhelmed with the number of workers that have decided to receive Jesus Christ. It’s a fulfillment for the company to see that a lot of people have been blessed with God’s word. With this, the company is more driven to continue their mission in spreading the word of God. In HPCC’s five years of conducting bible study service, it is such an overwhelming experience for the company to see that within those years, the workers have submitted their lives in serving the Lord. They have seen the grace of God and have realized that life is indeed more meaningful with Jesus Christ in it. Our feet are essential part of our body as it brings us to places wherever we want to go. But what could make these feet more essential and beautiful? It is by using it for the glory of God. While we use it to walk through many places, we can as well use it to minister and spread the good news which is the word of the Lord. Indeed, beautiful are those feet that bring the good news.